Why “52”? I was told by a girlfriend 52 looks like a heart shape as a pager code, I guess since domains like puppylove, puppyluv were long taken up, I’ll use puppy52 for my first online gallery. Puppy52 had stuck for more than 10 years now and over period, puppy52 expanded into dolly related area under puppy52doll. And now Puppy 52 dolls (with the extra “s”) is born in 2009! 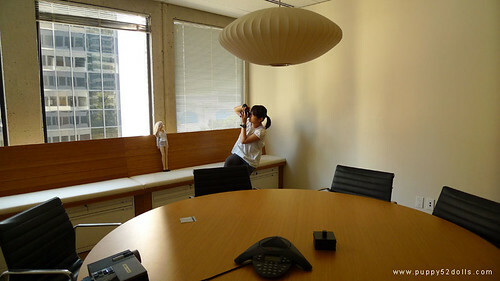 Below is photo taken July 5 2009 at our previous home office. Based on the song Mary had a Little Lamb. The pull ring forms the collar for the puppet lamb and so the two (Daisy and Clover) are always together. Wiggle your finger and you can show off the lamb puppet. How very cute! I have also met many new friends who share the same love for the hobby. In 2009 I joined forces with 2 talented girls, Yuki and Mai to create another custom blythe – Glacier Lily, for the Blythe Beauty Contest 2009, and we managed to become a finalist as well! 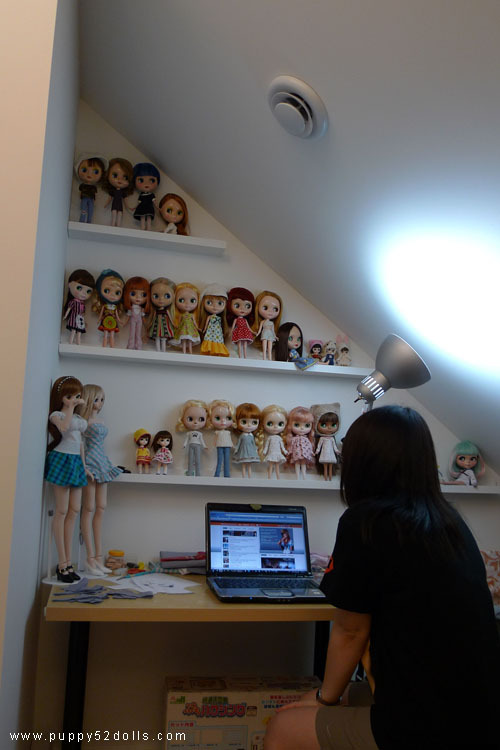 While I am currently distracted with my love for Volk’s Dollfie Dream, I still love my blythe dolls, and time to time I still get tempted… Currently, I have them displayed in my “Sewing Dungeon” as my husband fondly nicknamed it, mainly due to that that little nook of a room does not have any windows. 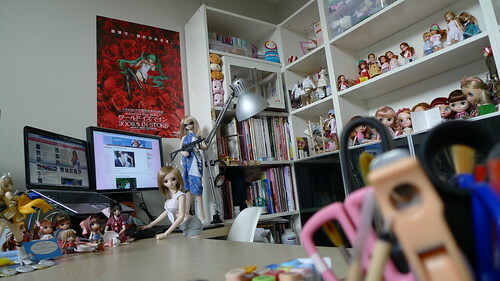 But I like that it is a cozy place I can get creative (=Messy ^^; ). I still do some part-time illustration work time to time, and post my art on puppy52art.com when I get a chance to :) Some of my more current illustration works are done for dannychoo.com notably Mirai fox and Working Mirai‘s images. It was thanks to Danny that I got hooked onto Dollfie Dream. ^^; I was also had the pleasure to work with Danny to create some doll clothing for Danny’s lovely Dollfie Dream musumes. Since I use a laptop, I tend to move around in the house depending on the most optimum conditions to work with. 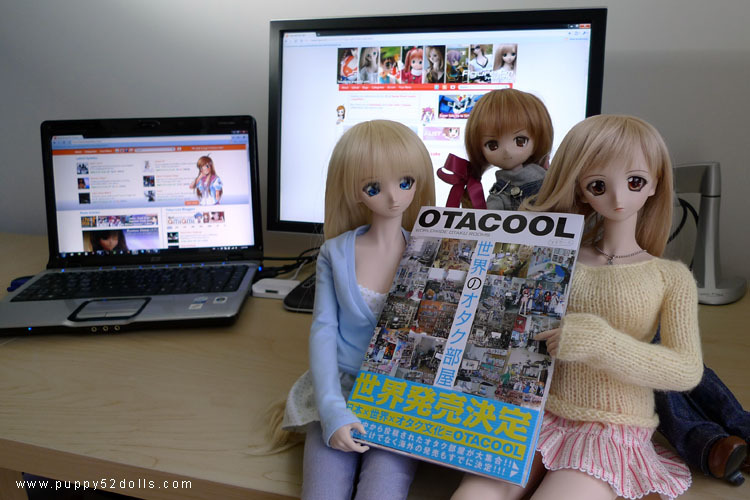 My work space was being featured on Otacool and now Otacool 3 too ^o^! Hi Don, the reason why the shop isn’t always stocked is because I make design/make/list/pack/ship everything by myself so no, there is no certain time, and there is no luck involved. Currently I am busy with a big deadline in April so I am unable to take orders. If you are interested to get a first hand news though I recommend following my patron at puppy52.com If you pledge something, you will get earliest news. Thanks again!